... 1931 (80 years ago today), Henrietta Muir Edwards (right), 84, died in Fort Macleod, Alberta, Canada. (photo credit) She'd been born on December 18, 1849, in Montreal. Along with her sister, Amelia Muir, Muir Edwards devoted her life to rights activism: she worked for temperance, the rights of women regarding marriage and divorce, and prison reform. 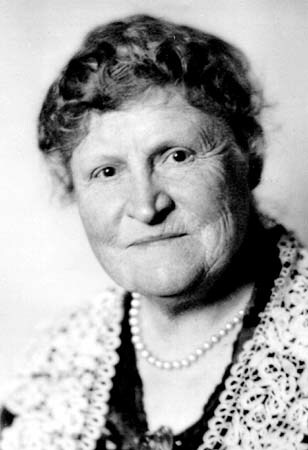 Author of handbooks entitled Legal Status of Women in Canada (1908) and Legal Status of Women in Alberta (1921), Muir Edwards also was a cofounder of the magazine Women's Work in Canada; of a forerunner organization of the YWCA; of the National Council of Women; and of the Victorian Order of Nurses. And she was 1 of the "Famous 5" who won a 1929 ruling that women were "persons" under the law and thus eligible to hold public office in Canada.